Design, analysis, trials, surveys, design and general arrangement for new vessels, structural design and sructural analysis, hydrodynamics, weight calculation and check of centre of gravity / flotation. Surveys and Certification including MCA Coded vessels, stability and inclining tests. 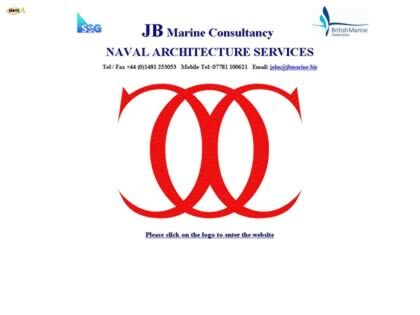 Web Site Snapshot: If available, above is a snapshot of the JB Marine Consultancy web site at http://www.jbmarine.biz as it appeared when this site was added to the directory or last verified. Please Note that Boat Design Net has no involvement with the above web site; all content and images depicted in the above thumbnail are the property and copyright of JB Marine Consultancy unless otherwise noted on that site. Description: Design, analysis, trials, surveys, design and general arrangement for new vessels, structural design and sructural analysis, hydrodynamics, weight calculation and check of centre of gravity / flotation. Surveys and Certification including MCA Coded vessels, stability and inclining tests.